Hi - just wondering if anyone else has encountered this with 9.0.2. 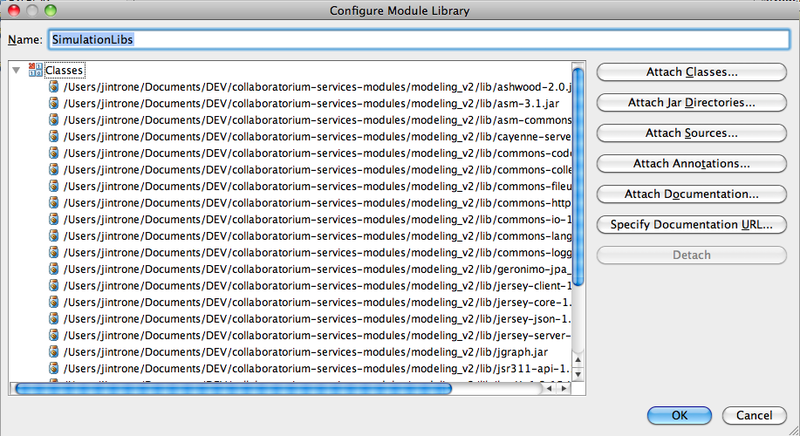 In the artifact editor display, module libraries are not shown as being available, although they are indeed compile dependencies. 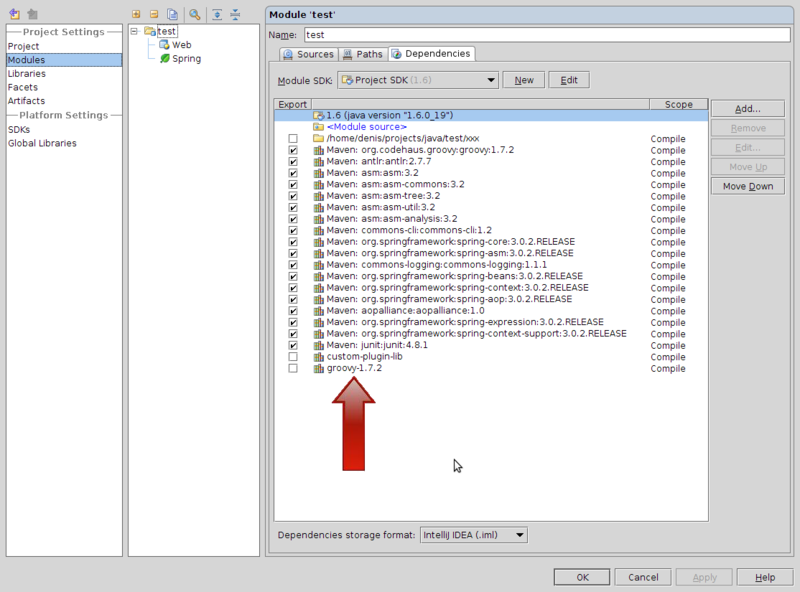 The problem occurs with module libraries that are created after the project has been created. 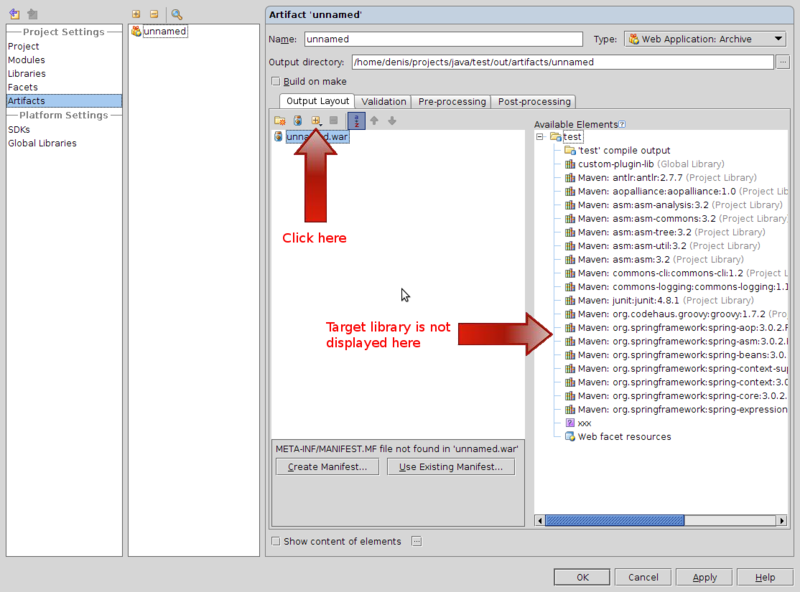 manually edit the <artifact-name>.xml file manually to include the module library. 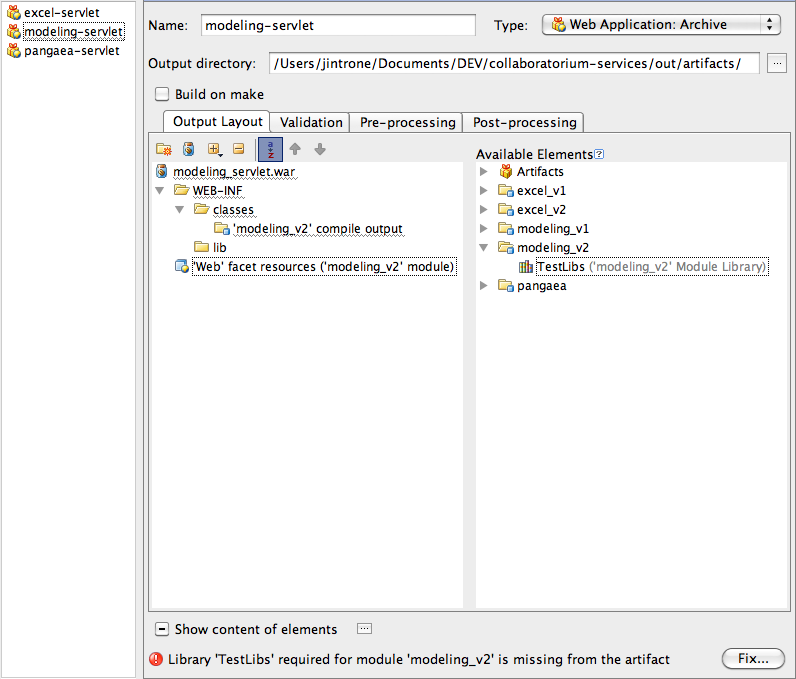 get single-entry modules into my artifact if I "Create exploded war -> from module"
Can it be this issue: http://youtrack.jetbrains.net/issue/IDEA-26142 ? One just has to reopen the dialog to see the library. Unfortunately, no, it does not appear to be this issue. 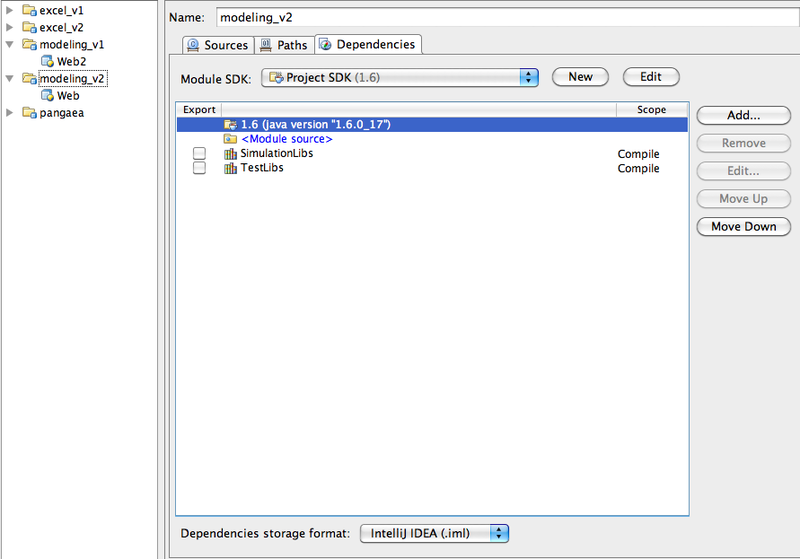 This does not just happen after a new library is created, and I cannot get the module library to appear in the interface. I've tried many permutations of actions to make this work. I'm attaching screenshots just to clarify. Note "SimulationLibs" is missing, and idea doesn't even warn me that it is missing. Now, here's another piece of information, which may or may not be relevant. I have a strange project structure, because I was trying to figure out how to organize project / modules. My project dir is ~/DEV/foo and my modules are all in ~/DEV/foo-modules. I'm wondering if this is breaking some assumption about where module info is kept? Appreciate any help - this is not a roadblock, but is an inconvenient bug. I was able to reproduce your problem. Corresponding note is added to IDEA-26142. 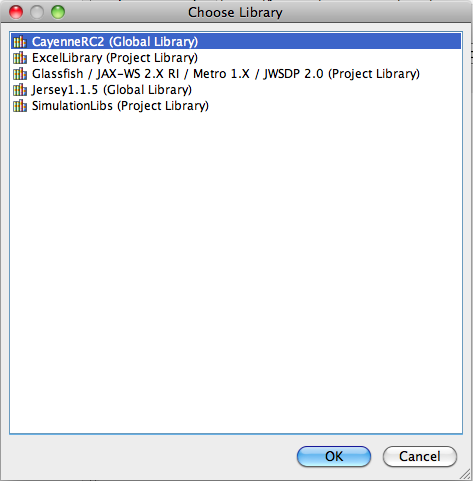 What files are included in 'SimulationLibs' library? Libraries without classes won't be shown in the 'Available elements' tree. Interesting; I'm not sure this is exactly the same bug, though. 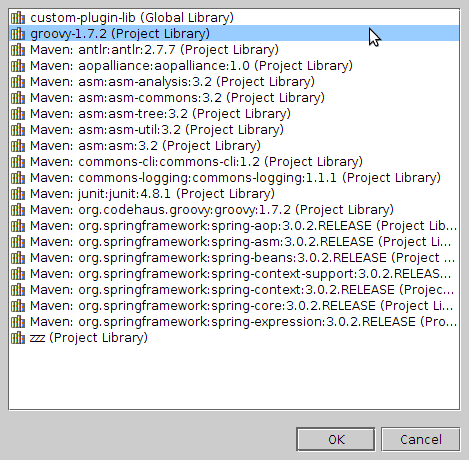 In your case, groovy is a project library; in mine, it is a module library. 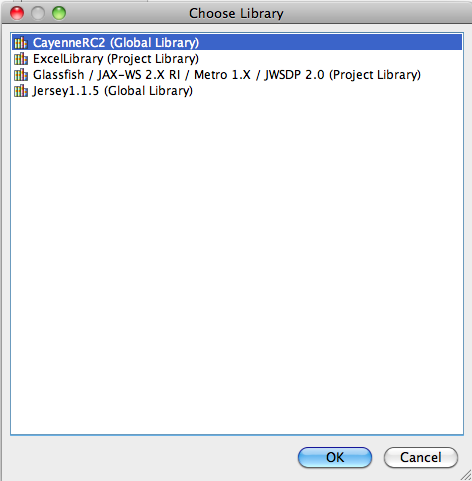 It does not show up in the "add library" dialog. This does not however make it available in the regular view of the artifact editor, nor does Idea warn me about the missing library. Feeling a little like Sherlock, now. My current best guess is that indeed this is a result of my weird project configuration. Can you replicate with a project structure described above, where the project files are kept in /foo and module sources in a parallel directory /foo-modules? I'm not sure what the critical factor is. I wasn't sure at first, but think this is pretty clearly a bug. I'm just not sure if it should be appended to the issue you've referenced, Denis, or should become a new issue. Ok, great. Thanks for the good advice.